Application Fields: water conservancy, refractory material, construction, highway, railway, etc. Applied Materials: granite, basalt, greenstone, sandstone. 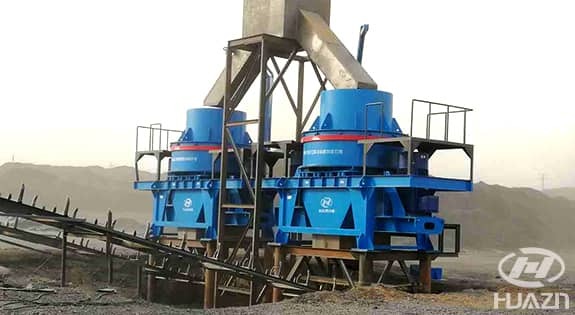 Beyond the traditional crushing theory, PLS Vertical Shaft Impact Crusher was designed by our company firstly in China as a new-type of crusher, which has filled the gap of the national crushing industry at that time. Since the first one was introduced into the market, it brought about a big revolution to the crushing industry for rock and mining material. It has the features of low cost, good adaptability and throughout, wide application etc. 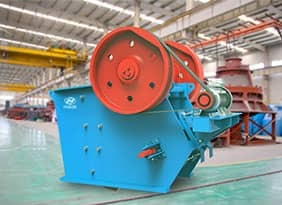 Until now the company sold thousands of the machines in China as well as overseas in many industries with good reputation. 1. The design of deep cavity makes more space for the impeller which can improve the efficiency. 2. Reasonable inner structure makes the material protect itself, which makes the life of the impeller longer. And the cost will be lower. 3. There are different speeds (high, medium, low) to choose which can fully show the efficiency of the machine. 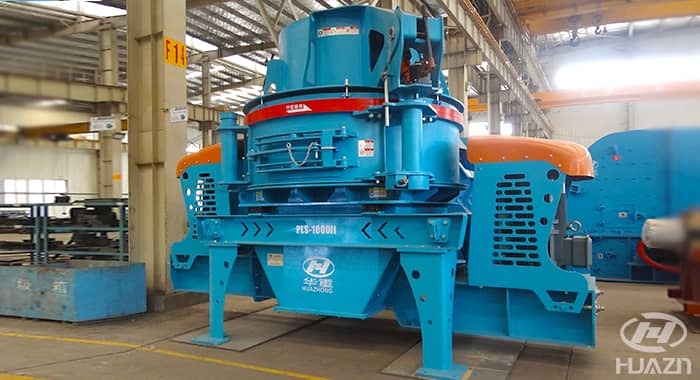 It has the function of crushing, sand making and shape making. 4. The wear plate and hardfacing protect the impeller and make it safe and life long. 5. Higher accuracy of manufacture makes the anti-unbalanced ability of the impeller better. 6. The wear parts are standard modularity. It is convenient for maintenance. 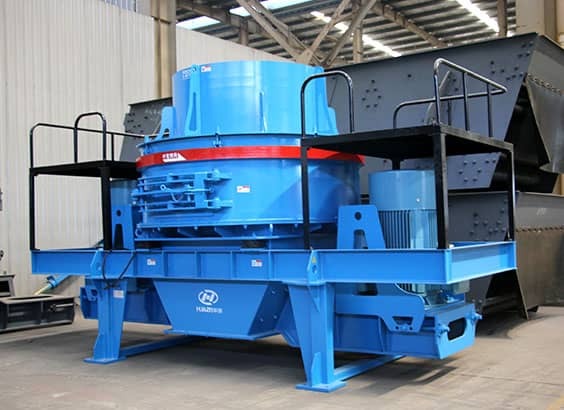 Stone Beat Stone: The materials fall vertically and uniformly from the top of the machine. 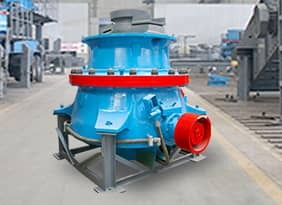 One part of them enter into the revolving impeller at high speed through the distributor and feed pipe, and are shoot out from the discharge outlet of impeller by the action of the high-speed centrifugal force. Then at high speed they are smashed with another part of the materials that have been distributed around impeller through the distributor. 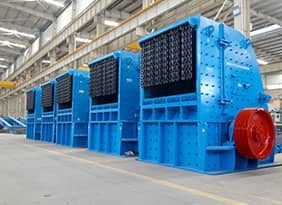 After smashing each other the materials shall form whirlpool and impact many times caused by striking and attrition in the impeller and crushing chamber. 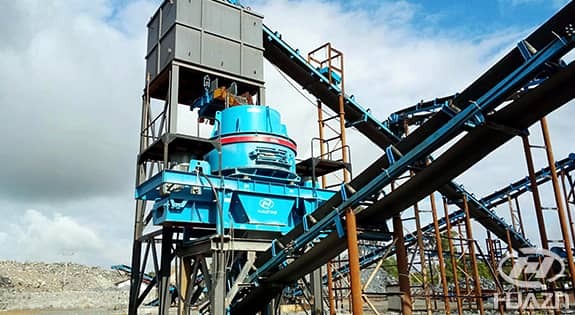 Stone Beat Iron: The materials fall vertically and uniformly from the top of the machine, and enter into the revolving impeller at high speed through the feed pipe. 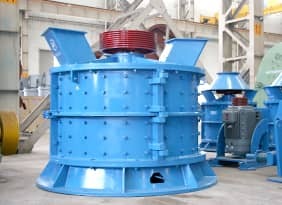 Then they are shot out from the discharge outlets of impeller by the action of the high-speed centrifugal force, and at high speed strike and crush with impact plate around the impeller. 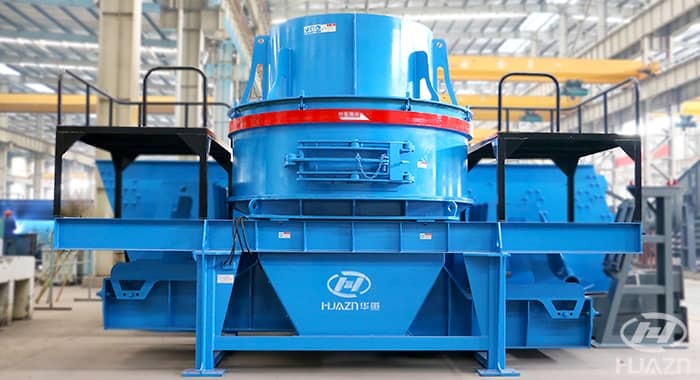 The main equipment: ZSW1560 vibrating feeder, ASD4836 jaw crusher, GPY300S cone crusher, HPY300 cone crusher, PLS1000Ⅱ vertical impact crusher, 2YKRH2460 vibrating screen.